This third edition of HIMSS' award-winning, bestseller explores how clinicians, patients, and health IT stakeholders are collaborating to support high-value care through health IT. 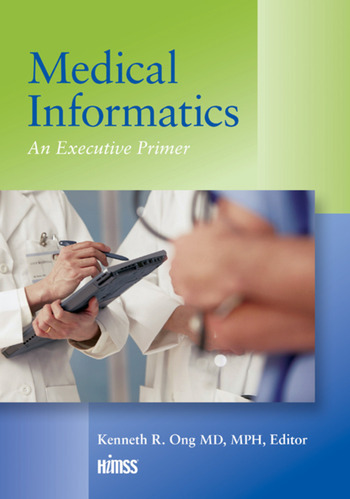 Medical Informatics: An Executive Primer continues to explore information technologies applied in hospital settings, at the physician's office and in patients' homes to provide high-value patient care. Developed for healthcare executives, the book looks at how clinicians, patients and health IT stakeholders are collaborating on a 'team-based,' IT-enabled approach to healthcare. The book's authors offer provider success stories on utilizing health IT-such as EHRs, clinical decision support, telehealth and electronic quality measure reporting to transform healthcare, while addressing health IT usability, interoperability, privacy and security concerns and meeting federal regulations. New to this edition are chapters focused on how health IT innovations, mobile technologies and personal digital tools are demonstrating the value of health IT. Medical Informatics also explores successful EHR implementations by organizations recognized with the HIMSS Nicholas E. Davies Award of Excellence, through case studies focused on patient engagement, population management, clinical and business intelligence, health information exchange and patient readmission prevention.